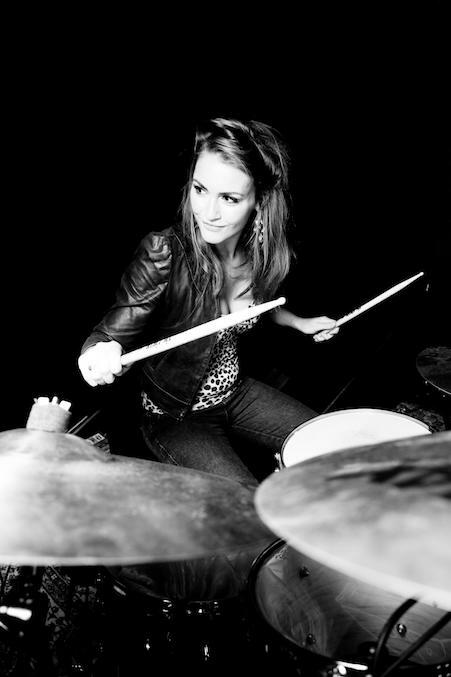 Holly is a versatile drummer who plays across all genres and styles, from contemporary jazz ensembles to pop sessions. As one part of club band High on Heels, she also provides live percussion features for the super group’s concerts and DJ sets. She has performed all over the world appearing with Sugababes, Robyn, Kano and Mr Hudson, and playing at prestigious events such as the Radio One Big Weekend and Lovebox festival. TV credits also include Strictly Come Dancing, This Morning, MTV and The X Factor. Holly’s distinctive style is infiltrating the heart of British popular music. She cites Steve Gadd, Elvin Jones, Carter Beauford and Luke Flowers as her main inspirations, and currently studies under Trevor Tomkins in London.